Me and Brian Harward on-top of Gobblers Knob on the Millwood “course”. Brian Harward joined me for what was supposed to be a pleasant adventure run on Millwood, broken up into 3 chunks (i.e. the “soft” way to do Millwood) on consecutive days. Brian lives about 300 yards from me and it is simply silly that we haven’t hooked up for a good adventure. He’s a very strong runner, tough as hell, and super nice, just the kind of person I wanted to spend three long days with in the mountains. We started on Friday, June 22nd, at the Neff’s Canyon trailhead (the beginning of Millwood). Joining us for a bit of the day was Tyler Lamprecht and Dave Hunt. Tyler is psyched on running and full of questions. 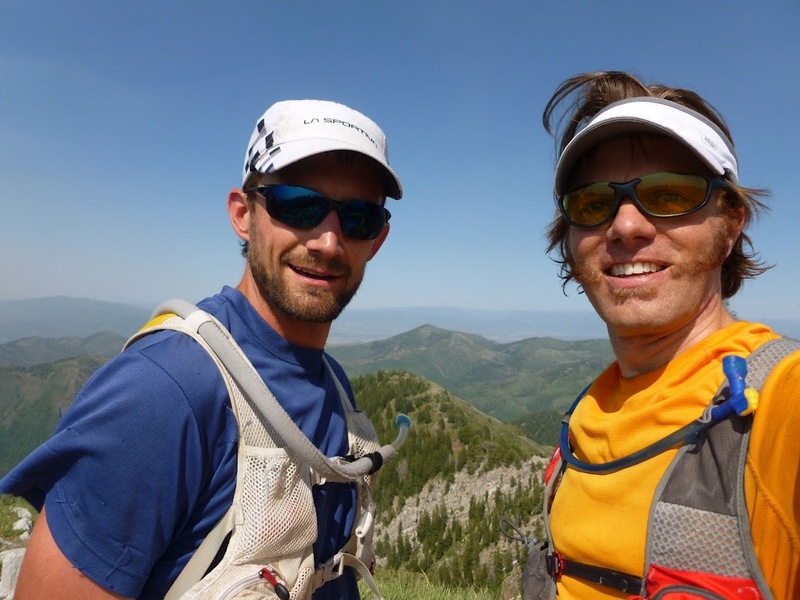 Dave is legendary and has been crushing local Utah races for years. All was going well until we started up the Birch Hollow trail and it was snowing…. except it was over 90F… what was this?. Turns out it was ash from the “Quail Fire” that, unbeknownst to us had started up the night before south of us in Alpine, Utah. From what we could tell from our vantage point marching up Birch Hollow, all of Big Cottonwood was going up in flames. The air was thick with smoke and this didn’t help a pretty bad sore throat I had woken up with that morning. In an unusual turn of events, we changed courses, thinking we were going to bail due to the terrible air and Brian suggested that we at least get some good Barkley training in (bushwhacking). Just kidding… kind of… At the end of our bushwhack, the winds quickly shifted directions and the air cleared so we decided to get back and route finish up the day. We marched up Gobblers Knob and eventually dropping down to Butler Fork, our pre-determined stopping point for the day. Total for the day was ~37 miles and ~13-15kft of gain. 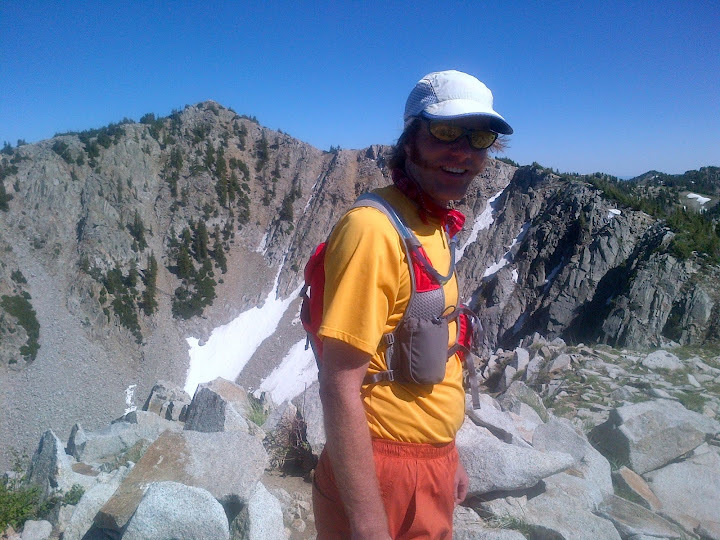 I felt terrible and my throat was seizing up on me…..
Brian with Wolverine Peak in the background. We met the next morning and picked up where we left off, Butler Fork. The air was surprisingly good as the wind was taking the smoke directly east of the fire. The problem was, I had lost my voice and all systems were not go. I struggled most of the day and it was clear that my immune system was gearing up for a battle with something far more intimidating than Millwood… We finished at Snowbird, making another ~37 mile day and about gain in the ~13-15kft again. I went home and proceeded to have a raging fever through the night. Needless to say, that was it for Softwood, I bailed on Brian and others, which I felt bad about. I proceeded to spend the next 4 days in bed followed by 3 really weak days and eventually was told I had strep and needed to jump on antibiotics…. Bummer. My summer plans did not have room for getting sick! Pics from our adventure here.